February is upon us, and you know what that means? Just a little bit longer of the cold weather is upon us. Spring is right around the corner, and the professionals at Charleston hair and makeup could not be more antsy for the warm weather that is upon us. The only thing we aren’t prepared for is the runny makeup that comes with the hot Southern sun and humidity. So the question is, how can you keep your flawless look after sweating all day in the hot sun? Well lucky for you, our professionals in the makeup salon have all the tips to help keep that full face on even when the sun is beating down on you. The one thing that your full face must have to stay intact during a hot day is a good base. Think about painting a wall with a fresh coat of paint, you have to start with a fresh coat of primer to help keep everything in place. This is the basis to help keep everything in place even when the sun wants to start a landslide on your face. According to our professionals in the makeup salon, choosing the right foundation during a hot summer day, especially for special occasions, can make or break the way your full face will hold up in the heat. For example, during the height of the summer, you won’t want to put on the heaviest coverage you can find, because it will bleed through. Instead, opt for a powder or airbrush makeup that will hold up much better in the heat. In addition, airbrush makeup will appear more consistent and appear more moderate instead of a heavy cream. The one thing you can always count on is the professionals at Charleston hair and makeup to take care of you during the wicked hot Southern spring and summers. If you are ever unsure on what products or coverage you should use during the hot months to keep your face looking flawless, come see us. We have the most qualified professionals that can not only give you the best advice but also show you how to implement that advice into your routine. The makeup artists in our salon are all professionals and can help ensure that you are at your top performance every time. 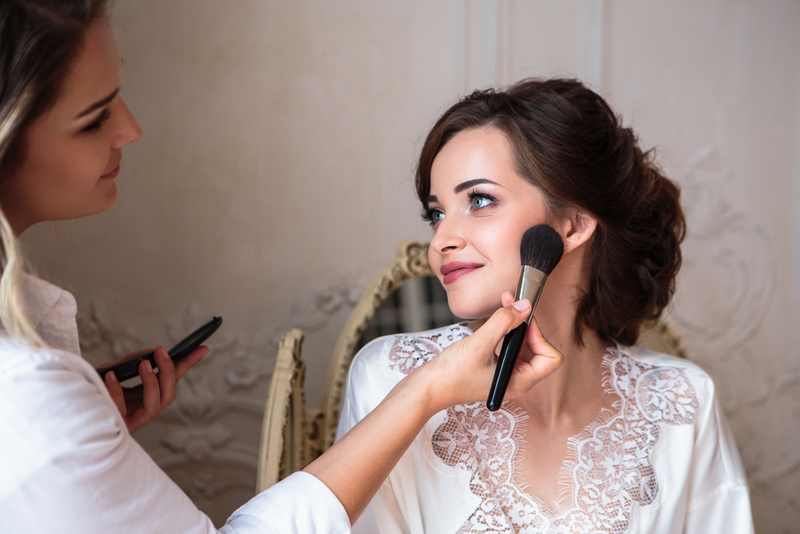 Whether you are prepping for a big event like your wedding day or just looking to keep a flawless face during the summertime, we can help make that happen.